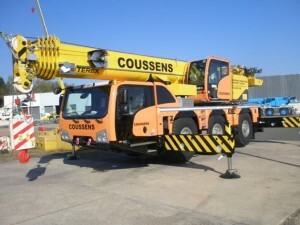 UK-based crane rental and heavy haulage specialist Coussens has taken delivery of a Terex Challenger 3160 all terrain crane. The three-axle all terrain is the fifth Terex model to join the company’s fleet. It has a 55 tonne capacity, a 50 metre single-cylinder telescopic boom and a capacity of 35.6 tonnes at four metres radius. The all terrain has a 6.8 tonne counterweight and can operate under the 12 tonne axle load limit.